Bridges, which link and separate, which open new worlds and new opportunities allow to get enough courage and fearlessly go and explore the unknown. This is the description that can be given to the recent-year style of artist Ilgvars Zalāns – the ability to build a bridge between the western and eastern lifestyles, to bring to life what he has seen on that other bank – the bright light, the joy of colors, unusual features, and roughness of textures; the ability to express experienced moments and feelings encompassed in canvases, and to share them with a viewer in paintings. 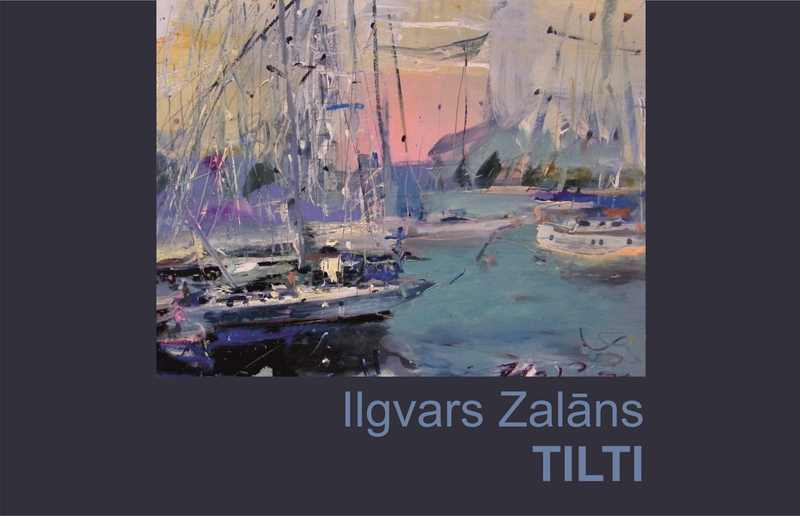 Ilgvars Zalāns is a world citizen in contemporary Latvian art. Currently he lives and works in Indonesia. Painter Ilgvars Zalāns (1962) has actively taken the opportunities offered by artist residences, thereby traveling almost half of the world. Lately, his art is better known in Malaysia, China, Japan and Korea than in Latvia, because he has lived very little in his native country. The author of brilliant works, who often paints in the presence of viewers in action painting performances, is convinced that “in the time, when all borders are open, it would be unforgivable to live with a narrow vision. For a 21st century person it would be difficult to manage without seeing and feeling what is going on in the world”. An especially great challenge for us is to accept and begin loving eastern lifestyle, which is so distant and different from our own, to treat it with respect and appreciation, accepting the unusual and making it part of our own life, too – this is the only way to survive in foreign, far-away lands, the artist says. By accepting one’s life and filling it with a new content, you are able to develop your art and make it understandable in other parts of the world, synergy is beneficial and desirable. The quintessence of feelings experienced during his recent-year travels is merging with what you see, after the bridge has been crossed, and making it your own new thing. Works produced both in the East and in the West – i.e. here, in Latvia – have been selected for the exhibition Bridges. Artist’s color palette fully reflects the light of the world of the East, brightness of its nature, life, emotional experiences and moods. This is a temperamental manner of painting, when paints are poured, broad spatulas, palms, feet are applied and even small assemblages used … and as the result the emotional experience is powerful, the message is strong, striking and masculine. The scenes of Latvia are depicted in softer tones, but the story saturation is dense. Paintings by Ilgvars Zalāns are fascinating – a stable and well-established style of painting, free manner, unusual and deeply emotional story, nuanced details and texture combinations. In Latvian art he is a solitary figure due to both his impetuous, unusual lifestyle and his experience and bright manner of painting. Flower stories displayed at the exhibition are colorful, exciting, the emphasis is laid on the feeling about a flower, on the joy about what has been seen, on the delight about the Creator’s job. Color and texture are that attractive, powerful force which helps to understand and grow fond of his paintings. The force and mightiness of the sea, respect for the uncomprehended superiority, take the viewer by surprise, while the nuanced, smooth, transparent blackness of harbour waters seems to have calmed down only for a while. Different moods, different aspects, changeable and deep, just like always unusual travels of the painter – this is what paintings by Ilgvars Zalāns displayed at the exhibition Bridges look like. The exhibition is organized in collaboration with art gallery Pegazs, Rīga, Rūpniecības street 18. Curator of the exhibition, manager of the art gallery Pegazs.